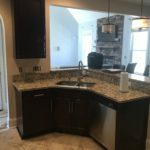 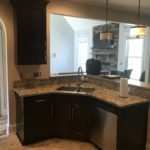 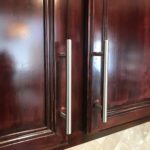 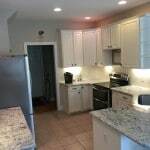 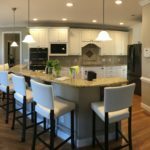 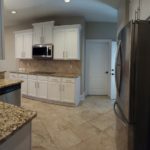 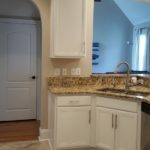 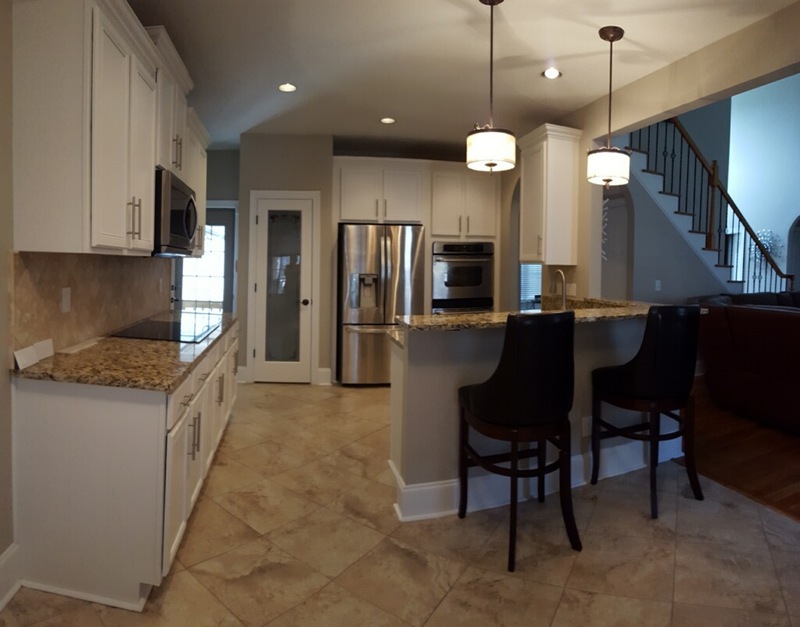 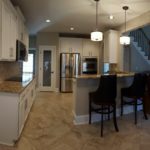 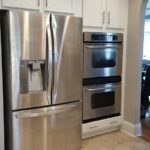 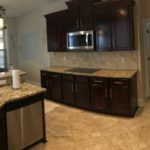 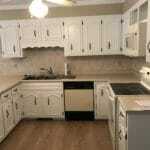 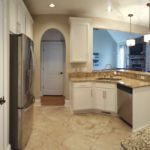 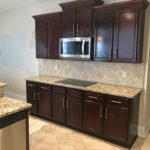 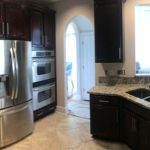 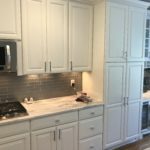 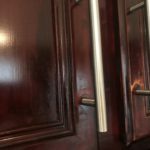 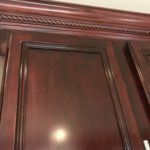 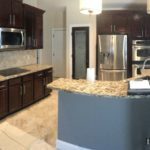 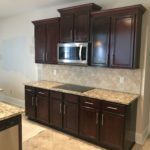 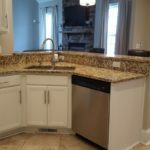 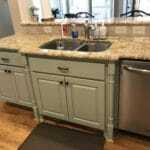 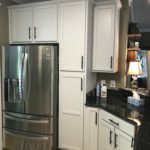 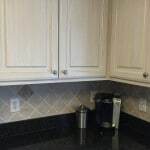 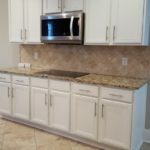 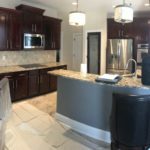 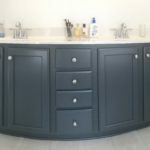 Our homeowners purchased this property, knowing the kitchen cabinets were in dire need of an update. 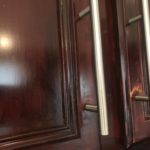 The previous homeowners had attempted to update them with a polyurethane glaze and the results were streaky and uneven. 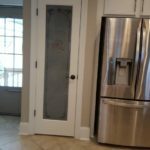 We jumped in, smoothed out all the issues, and even painted their pantry door to match. 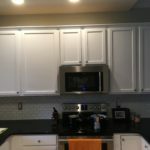 Now the fresh white space feels so open and new!